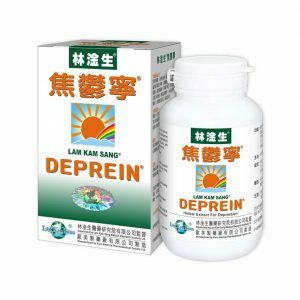 Lam Kam DEPREIN obviously improves the efficacy of the brain cell activity, balances the brain bioelectrical, helps regulating the brain mood-regulatory chemical transmitting substances, secretion, transmission and exploitability to normal level and achieves natural recovery without causing any side effect. The prescription is so mild and peaceful that it is suitable for all ages and physiques. Besides treating the illness, it can also promote the health of the liver, heart and kidney, progressively eliminates any sequelae caused. Strictly follows the ADMINISTRATION of the instruction, most of the patients can achieve remedy and no longer need to take the medicine again. Undergoing long term of clinical practice, no side effect is found when Lam Kam DEPREIN is being used together with the western medicine. Radix Bupleurti, Radix Paeoniae Alba, Rhizoma Chuanxiong, Poria, Margarita, Polygoni Multiflori Caulis, Radix Glycyrrhiizae etc. 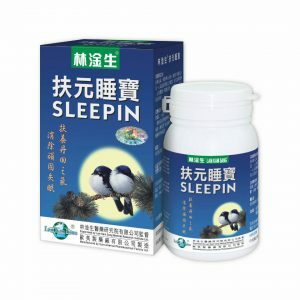 Every capsule of Lam Kam Sang DEPREIN contains 500 mg extract of the above Chinese medicines. 3. Mental pressure, tense in work, hurt in feeling and so on causing symptoms such as oppressing in chest, palpitation, insomnia, irritation and down feeling and so on. Attains desired effect in 5-10 days, the curative rate is over 85% in 30-90 days of course. 6 capsules each time, to be taken 2 times a day after meals (breakfast and diner); 7-8 capsules for weights over 60 kg.